Myrtle Beach is located on the ocean front of the South Carolina coastline. As the heart of this area, Myrtle Beach offers a tourist destinations primarily geared towards families. 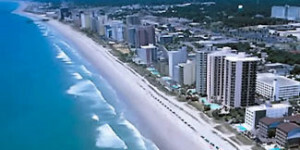 Each year Myrtle Beach attracts several Million visitors. For this city, tourism is the greatest form of commerce and is rising in popularity from year to year. Because of the high volume of guests to this city many restaurants, hotels, and businesses require much maintenance during the tourist season. Carpet cleaning is just one of the many things that need to be during and after the summer in order to keep up with the high traffic of visitors. We enjoy being apart of this process; whether it is during the tourist season or on the off- season we clean the carpet for many of the hotels, restaurants,and businesses to keep them in tip top shape.